Adapting to the new normal of remote work, the gig economy, and more. A workforce based on the typical nine to five job is a thing of the past for many organizations. Across the world, 20% of employees do some or all of these work outside of an office environment, and that number is closer to 40% in the U.S. This recent explosion of remote work, the gig economy, and other non-traditional employment has resulted in a new sense of urgency for HR. Contingent employees present a unique challenge, while simultaneously presenting a risk to your employer brand if they do not have a positive experience with your organization. For HR, this means a lot of fluid adaptation and adoption of critical technologies that can help manage a contingent workforce. In this whitepaper, learn how leading HR teams are embracing this challenge as an opportunity to benefit the workforce at large. 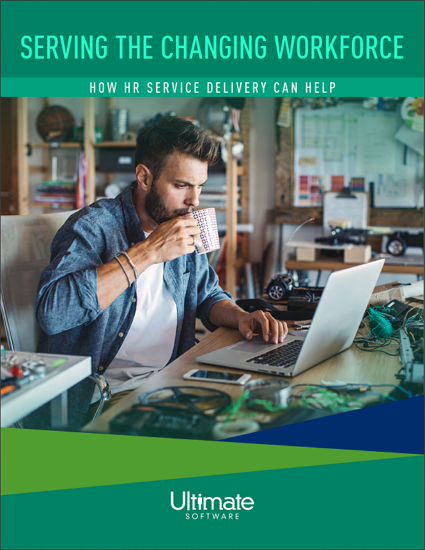 HR service delivery enables them to take advantage of scalable technology that brings remote and part-time employees closer to the office, all while reducing compliance risks.